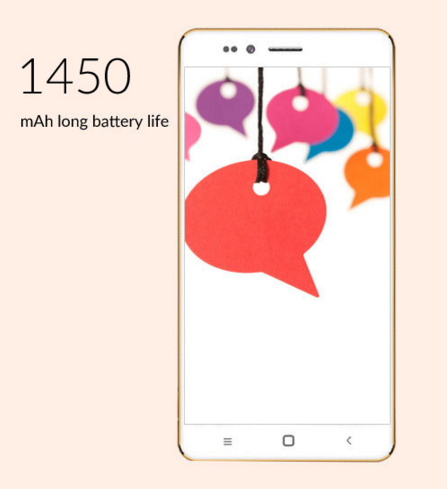 Noida-based Ringing Bells has launched Freedom 251, Priced at Rs 251, which is less than 4 USD, it is the most affordable and cheapest 3G smartphone in India. Ringing Bells Pvt. Ltd. was established in 2015 and it is one of the fastest growing smartphone companies in India. 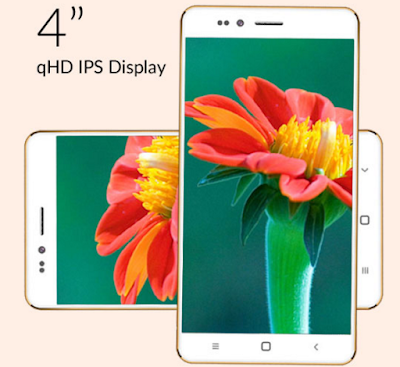 If you are one of those who are searching for, "freedom 251 booking, how to order freedom 251, how to buy Freedom 251 mobile, how to book freedom 251 mobile online, and other search term related with this phone", then you are at the right place. You can find all information that you should know about this smartphone here. Booking of 'Freedom 251 smartphone' will start on Thursday 18th February 2016 from 06:00 Hrs. It is the World's cheapest mobile phone launched in India. Ringing Bells had announced earlier that the Freedom 251 will be priced at "less than Rs. 500". But it is now confirmed that the smartphone will be priced at Rs. 251 (less than $4). At that price, it's easily the most affordable smartphone in the world. Ringing Bells also said, "The Freedom 251 smartphone has been developed 'with immense support' from the government and is touting it as a success story of PM Modi's flagship 'Make in India' scheme." Read this full post to know the process of booking this phone online. Company's mission is to provide futuristic technology products of the highest quality and best service at the lowest cost of ownership. And Now by launching this Freedom 251 Mobile phone at this lower cost has proved that they are going on the right way. This would be one of the biggest achievement for Indian people. It will go a long way in connecting every Indian, and like the previous government tried to take computing to the masses with the Aakash tablet, the Freedom 251 has the potential to realise the 'Digital India' vision. Here is the Video Review of this amazing cheapest smartphone 'Freedom 251'. I have created this video review about this phone and published on Youtube with the title, "Freedom 251 smartphone - Review and Specifications [World's Cheapest Mobile]" You can watch that review here. The company also said that ‘Freedom 251’ launch is in line with Prime Minister Narendra Modi’s vision of “empowering India to the last person, transforming India’s growth story”. The phone comes pre-loaded with several apps for Women Safety, Swachh Bharat, Framers, Fishermen and more. Now, I would like to Introduce you to the Specifications, features and configuration of this smartphone. 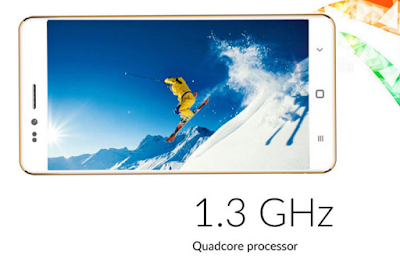 Freedom 251 comes with 1.3 GHz Quadcore Processor capable of fast and responsive performance. Freedom 251 with its inbuilt touchless technology is Ideal for perfect Selfie. For Selfie lovers, life just got a little easier. It offers 1-year warranty with more than 600+ service centres in India. All that is new to the iPhone 7! How to Book Freedom 251 Mobile? I already told that Booking will start on Thursday 18th February 2016 from 06:00 Hrs. Booking for the World’s Cheapest Smartphone Freedom 251 will start on Thursday 18th February 2016 from 06:00 Hrs. Make sure you are the official website at the time of booking starts. ie: at 6 AM IST on 18th Feb 2016. Make sure your internet connection is proper. The delivery will be based on First come First serve basis, so make sure you don’t wait to book your phone. Book your Freedom 251 as soon as the booking opens on the site. Keep your Credit Card or Net banking details ready to make the payment. There is no COD option available. The Booking Close on Sunday 21st February 2016 at 8 PM IST. Delivery Date will be on or before June 30th, 2016. It’s a long wait considering nowadays Online shopping sites deliver the product in one day. Here is the Link to Buy Freedom 251 Online. Latest Update: If the site is not working or unresponsive then keep trying and refresh the page. Make sure your internet connection is working and fast. Try again and again with the gap of 5-10 minutes. Freedom 251 site is not working because of high load on the server and traffic on the website. I would recommend to use site on Computer (PC) for booking. Message: I hope that you have enjoyed 'Freedom 251 Specifications: India's Cheapest Smartphone for 251 INR' article. However, if you want me to deliver more items, then please share my post. You can use Social Sharing Widget provided at the end of every post. After all, Sharing is Caring! Good to get an amazing Make in India Product. But there is no list of service centres available on Internet. Will you please update that link too..
Yeah sure. I will update the list soon. Yes, we all Indians should order this Freedom 251 smartphone. Why not, we should place the order to book this freedom 251 android phone. How About the Sim ?? Single Sim or Dual ??? Micro Sim ?? 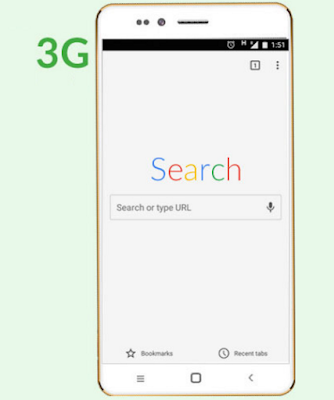 Freedom 251 smartphone has dual sim capability. There is not officially mentioned anywhere about the size of the Sim, but most probably it would be of Micro size. If site is not working then refresh the page and try again. with due respected , i am want buy the smartphohe.. what can i do...? Open www.freedom251.com, place your order and it will be delivered by june 30. 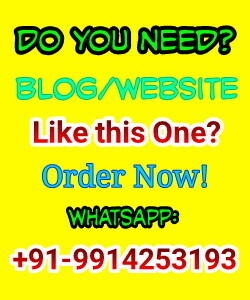 Direct open their official site: www.freedom251.com and place your order... if it is not working then wait for sometime and try again by refreshing page. I think cash on delivery will be much safer for us. As you are delivering it, so cash on delivery system will ensure us more honesty. The only option you have is to try again and again by refreshing the page.